Beautiful community located on the edge of Charlottesville with breath taking views of the Blue Ridge Mountains and Thomas Jefferson’s Monticello. 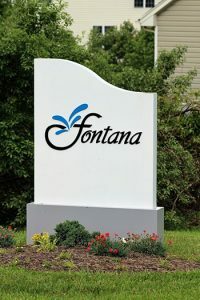 Fontana provides a pool, pavilion, gym, and clubhouse; as well as, easy access to downtown, the new Martha Jefferson Hospital, I-64, and the route 29 corridor. Fontana has a variety of homes ranging from one level single family homes to large two story homes. Price start in the mid $300,000’s. It is served by Stoney Point Elementary School and Burley Middle School and Monticello High School.